Photo by J. P. Fagerback/ The survey describes the housing market and housing situation of the population in general, and provides a detailed trend about the improvement of the housing conditions in Norway. NOVA has produced the report "Housing and living conditions in Norway 2007" on assignment from the Norwegian State Housing Bank. The latest survey of living conditions SSB from 2007 is compared with the same surveys from 1997, 2001 and 2004. 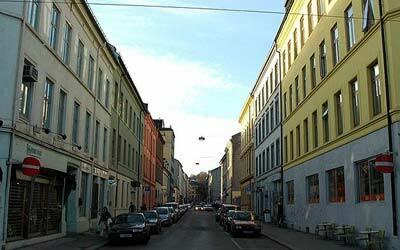 -The report confirm that most of Norway live safely and well. The 80 per cent have their own residence. Several homes with full access for wheelchairs is an important step towards the goal of Universal Design. It can also make that more mature and ready to live in their own home longer, "said Local Government and Regional Minister Liv Signe. The minister expects that even more buildings and homes will become universally designed in time by reminding the regulation that makes the accessibility in the new buildings required from 1st July 2010. NOVA report also shows that many young people lives lonely in smaller houses, although the size of housing has increased. Many live in blocks and apartments. The researchers believe it may be related to inflation and that limited settlements in the big cities. There are also more home owners among young people compared to previous years, but they have higher debt-equity ratio now than before. -Most people in Norway live well, but the government will improve conditions for those who toil in the housing market. Therefore, we have set down a Committee to discuss and give recommendations about how the central tasks in the social housing policy is to meet in the future, "says Navarsete.